When looking for a wireless Wi-Fi range extender of your own, you don't need to buy from the same manufacturer as your Wi-Fi box (though it doesn't hurt, either.) The features you are looking for are easy setup, matching frequency band (2.4 and/or 5Ghz) and a signal-strength indicator. If you aren't especially tech savvy, you'll want to stay away from extenders that require you to fiddle around with its internal settings through a web browser. Watch out for any product that comes with a CD or software. How do you know where to put your extender for the best signal boost? Too close to your Wi-Fi box and you won't get the best coverage. Go too far and the weakened signal won't do you any good. Look for extenders that give an indication of signal strength so you can find just the right spot. Netgear's Nighthawk AC1900 Desktop WiFi Range Extender ($110 on Amazon) has all the bells and whistles we covered here. We particularly like the LED lights that give you a great indicator of the signal strength. That's all there is to it. With a repeater in place, you can be streaming music in your garage or checking Facebook on the porch in no time. But what if an extender can't get the Wi-Fi to the room you want? Then it's time to consider a wired alternative. If your home has been wired for cable, you may have a coax (cat5) jack in your home's Wi-Fi dead zone that you can use to extend your coverage. A coax adapter creates a wired connection from your router box to the are where you need coverage without having to run a cable. It's as simple as plugging one adapter into a coax jack next to your existing router and using an Ethernet cable to connect them. Then plug the second adapter into a coax jack in the area where you need Wi-Fi coverage and use an Ethernet cable to connect the adapter to the included, second Wi-Fi router. You should get the same speeds as your current W-Fi network and higher speeds than a Wi-Fi repeater will provide. If this sounds like the option for you, we recommend the Actiontec 802.11ac Wireless Network Extender with Gigabit Ethernet Bonded MoCA ($125 on Amazon). It's as simple as plugging one adapter into a power outlet next to your router and using an Ethernet cable to connect them. Then plug the second adapter into an electrical socket in the room where you need it and plug another Ethernet cable from that one into whatever computer, game console or smart TV requires an internet connection. Pair the two adapters by pressing the buttons on the front of them and you're good to go. If this sounds like the option for you, we recommend the TP-Link AV2000 Powerline Adapter ($90 on Amazon). It is small, powerful, secure and has an energy-saving mode. You can buy extra adapters if you want a signal in more than one room. As an IT consultant my first place to check for wireless issues is a free app on my droid phone called wifi analyzer. I’ve seen dramatic affects just by choosing a “better channel” recommended by the app. Technically its as simple as a log in to the router and change the channel. At home in suburbia, the same holds true. Easy fix. The one gotchya is the app does not show “hidden” or “non-broadcast” networks (unless you are signed into it). However, I have found the recommended channels does take into acoount the interference from the hidden networks. Changing the channel may or may not help, but its free, simple and worth a try prior to buying any additional equipment. It will NOT be equivalent to a range extender in signal strength, but may get you by. Great info - does a cell coverage extender exist too? Thank you this is great info. I will share with others. The wireless seems to work great throughout my condo, but unfortunately it seems I need to stand at the ends of the bldg., on one foot, pointing south to get coverage for my cell phone. Do you know if an extender also exists for this? Last year I installed a WIFI extender and had some issues, sometimes a message that you cannot have to IP addresses that were the same or I could not log into the extender. After some research I found out I had to lock down the IP address on the extender: turn off DHCP (Dynamic Host Configuration Protocol) on the extender by typing in the IP address and navigating through the menu on the extender and set the IP address and DNS address’s. And of course a soft reboot of the extender. When I check the status on the main router (usually IP address 192.168.1.1) the extender came up as STATIC. After doing this, I have had not one issue and the security camera’s and laptop in the back garage are all on-line, all the time. If you get a dual band router you must configure each band width as a separate IP address and lock them down as well. Anyone have any experience with a D-Link DIR-505 Multifunction Travel Router? This device’s main selling point is that it is small and can easily be used in hotels or other places where you want to set up your own, secure wireless net. But it can also act as a repeater/extender, which is the main reason I bought it. It is simple to set up and when I set it up as a repeater, it seemed to work quite well. Using it as a repeater, you give it the same SSID and password as your main router, so my iPad and laptop didn’t need to be told about connecting to a new network. But when I powered down my desktop computer and cable modem/router, as I do every night, and then powered them up in the morning, strange things happened. The first thing I noticed was that Windows 7 said I was now connected to a new network and asked if I wanted it to be classified as Home, Public, or whatever. I was puzzled why I was now on a new network, but selected Home, since I wanted the usual file and printer sharing options. But then I found that my iPad was not getting any internet access. It was still connected to a LAN, apparently via the DIR-505, which did not seem to be connected now to my main router. The desktop PC, which has a wired connection, was still getting to the internet, but apparently not seeing any other devices. I unplugged the DIR-505 and restarted my cable modem/router and everything was OK. My iPad was again getting to the internet, though with a somewhat weak signal, which was the reason for my getting the DIR-505 in the first place. Anyone know why this situation occurred and what I might do to avoid it if I want to continue using this DIR-505? If you have an apple airport wifi system in your house, extending the range couldn’t be easier. Just buy any additional airport product (express, extreme or time capsule). plug it in to a power supply and run the airport utility from your laptop or mac. It does everything for you. Just did this a few weeks ago and was amazed at how automatic it was. Can you mix different brands of router/wireless extenders? I have Brand A router. I already have Brand B wireless extender. Can I use another Brand C wireless extender? To sum it up, 1 router and 2 wireless extenders and all 3 are different brands. Is this okay? I know of no reason why not . As long as your router sees it go for it. Links you have provided never open ? Sorry they finally opened , I would go with the faster one myself. Your laptop does not have built in Wi-Fi ? Those are really not range extenders any way just wifi connectors or just antenna your router will more than likely see them . The article mentions the ‘Netgear WN2500RP’ ($118 ... NOT $54!). 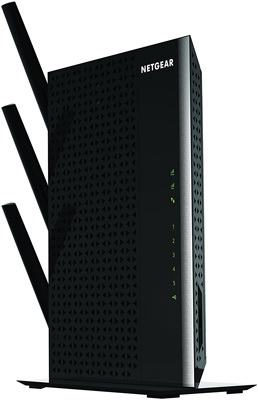 The links point to the ‘NETGEAR N600 Dual Band Wi-Fi Range Extender’ ($68 ... NOT $54!). Which product are you really recommending ?? how to know the frequency? How can I check if my Wi-Fi box is running on a 2.4 or 5Ghz band ? I tried looking under Windows wi-fi settings but no clue of that. Your router should have an admin panel you can access that will show its settings. Often you can find it by entering 192.168.1.1 in your browser’s address bar. Refer to your router’s user guide for instructions on logging in. Some routers also come with software you install on your computer to manage their settings. 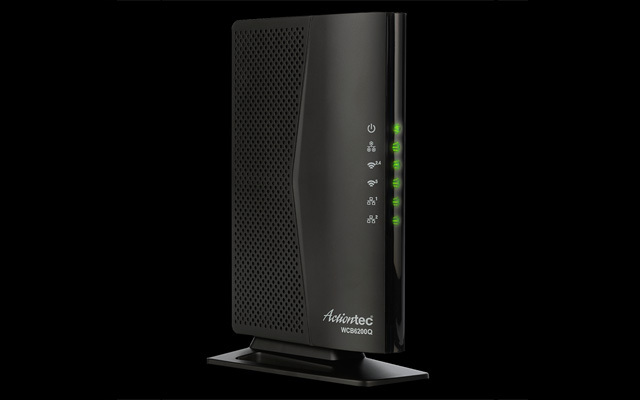 Most newer routers will run on both 2.4 and 5Ghz. Which one you connect to will depend on the device you’re using and how your router is set up. It is very easy to check wifi frequency. Connect your mobile wifi to the router. After connecting click on the wifi router name. It will show details like Ip address, signal strength, link speed and frequency. Can you use one extender for each of the bands on the Router? One extender for the 5Ghz and one for the 2.4Ghz? I am not sure this is at all possible. What if you are staying in an rv park and they have free wifi? Any way to make it pick up better? I connect to them but not strong enough to do more than email when I’m lucky. I have Comcast service.recently they told me I had to replace my modem. The one I received had a build in wifi. I have Netflix I have to use a WD box .it never ran that good on my own router box .but it runs worse on the new modem that has the router build in for wifi that Comcast sent me. And this router and the WD boxes are in the same room. My question is what extender can I use with this new modem from Comcast . It’s a real pain to talk to anyone at Comcast . The house I live in has 18” adobe walls. The wi fi signal does not go through the walls. What is the best way to get the signal into the other rooms? Your best bet for getting wifi in a home with thick walls is to make use of the power lines in your home. 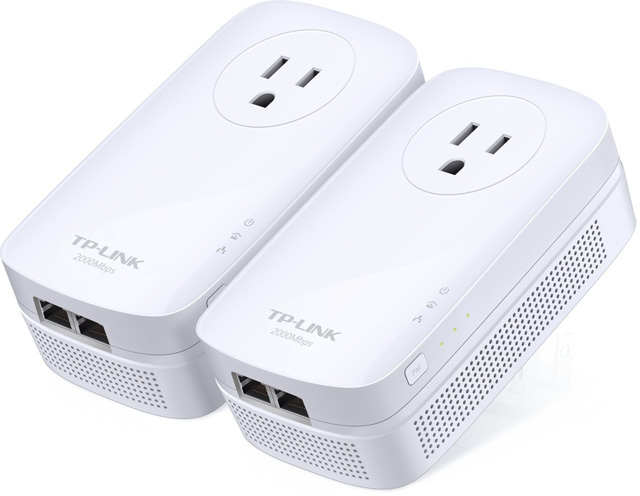 I’d try a power line adapter, like the TP-LINK TL-PA4010KIT AV500 Nano Powerline Adapter Starter Kit that we recommend above. PLEASE do not recommend these powerline devices. They generate TREMENDOUS amounts of radio interference. They turn your house into a broadband radio jammer!! Any ham radio operator within a block of your house will have his/her station rendered useless!! As a ham I have fought with neighbors using these devices and neighbors don’t understand the problem they cause!! For more info contact www.arrl.org. How can consumers pick the correct product? Where can consumers go to determine which devices and models are known to create radio interference issue and which are not? Telling consumers not to fix the Wi-Fi problems in their home is a hard sell, but if we could point them to the best products to do that, that would be helpful. I bought a tp link wireless range extender,and subsequently found it gave a very poor signal. so I decided to purchase the tp link power line adapter it worked great as long as the Ethernet cable was connected which left me with the same problem for my ipad and smartphone so I thought I would link the range extender and the power line together,and what do you know I am getting the same signal wirelessly as I do next to my router,well done tplink. Thanks for the feedback and glad it worked out for you! So you plugged in the power line adapter. Then connected the range extender to it or plugged it in to another outlet? I’m sorry but I really know nothing about this. i set up the power line adapter as per instructions pluged the range extender next to the powerline adapter then joined them with the ethernet cable.now my wifi signal is as fast as i would get if i was next to my main wifi router.the reason i am giving this information becaus i did contact tp_link,and they sugested i purchase a wireless powerline adapter.so i thought i would give it a go,and it worked a dream. Thank you. I assumed you meant to join the tp link with the extender. The instructions on the tp link made is sound as if one had to have a tp link in every room and plug the computer into the link, which isn’t really what I wanted. But I wonder if I have to have this set up in every room, as all the walls are adobe and apparently wifi signals don’t go through adobe, or so I’m told. —Thanks again. Hi I have a wifi hot spot xfinity in my house but only in 2 spots. I can’t afford to get my own internet so I was looking at range extenders would they work if I don’t have my own modem an or wifi? You could be outside a library and still be able to piggyback on their Wi-Fi signal. However, a range extender won’t help you do that. It amplifies the signal to increase range (so you would have to plug it in somewhere inside the library). If there is no signal outside, there would be nothing to amplify. And if there is signal, you don’t need the amplifier. I currently have a coax coming into my house for cable and internet. I am cutting the cord on my cable but keeping my internet. I have a bedroom that has very poor internet WiFi connections, even though I have a very high internet subscription. If I bought a router and connected it to the current coax running to my bedroom, could I purchase a device that would connect to this coax and emit the WiFi better in that room? My nephew lives across the street he doesn’t have internet. Is there anything I can do to help him get better signal off of my Internet?